The heart of Physitrack is our exercise library. 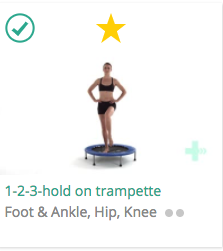 We endeavour to add new expert-created, high definition exercise videos to our library suite regularly and are always open to suggestions from our users. However, exercise videos are only useful if they can be easily found. This is why Physitrack has a categorised and labelled all exercise videos to be found as intuitively as possible. Go to Library > Exercises, and look at the filter options to the left side of the screen. search for exercises by name (it's OK if you don't know the exact spelling, we allow for so-called "fuzzy" searching). 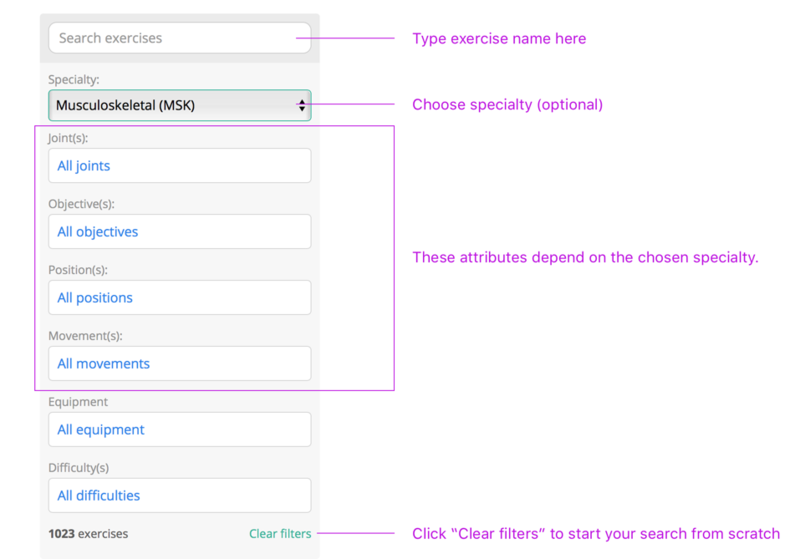 browse through our exercise library by using our drop-down filters choosing a specialty, and then, inside the chosen specialty, attributes that an exercise must match. You can click " Clear filters" to reset the filter and show all exercises. Click on the exercise picture or title to preview the video. Click the circle to select this exercise and add it to your program. This will now appear in your program basket in the top right corner.